Tips to find your best cross-training balance. Photo by Lululemon Athletica via Flickr. It may sound counter-intuitive, but if you want to improve your ballet performance, you may need to step outside the ballet class to do it. Cross-training is the new must-do for professional and aspiring dancers, helping you improve fitness, flexibility, strength, injury recovery, musicality and more. Now don’t get me wrong, the only way to master pirouettes is to practice them and no amount of cross-training can replace your ballet classes. But with the right combination of training, you’ll have such increased strength and control that you could suddenly find your fouettés start flying and your improvements should be increasingly noticeable from class to class. However, some exercises are definitely better for ballet than others and you wouldn’t want to build bulky muscles or put yourself at risk for more injuries. So let’s take a look at the best forms of ballet cross-training and what it can do for you. 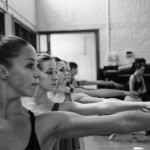 What’s so important about cross-training for ballet? Dancers often only realise their weaknesses too late – like the lack of aerobic fitness when you’re panting and out of breath halfway through a stage performance. Or how about those nasty injuries that pop up just when you’re preparing for that big exam? Art of Motion’s Kirsten Johnson during a performance at the International Ballet Gala in homage to Alicia Alonso. You can see more Gala photos in the gallery here. Photo by Sarah Weyman. So how do you increase your strength and fitness but also avoid injuries and ‘over-training’? Tanya Lourens says that using cross-training correctly can still allow a dancer’s body to recover from a strenuous class, without the risk of developing overuse or repetitive strain injuries. She suggests the best approach is to engage in a completely different physical activity in order to rest dance-specific muscles. “This will allow the body to adapt as it gives the nervous system a rest from the usual dance specific patterns,” she says. Esmé Harris, director of Art of Motion, should also know a thing or two about cross-training considering her ballet students are collecting local (South African) and international awards, and not just in ballet, but in rhythmic gymnastics and Irish dancing too. In fact, the school has purposely designed a cross-training methodology and exercise programme that seems to be giving their dancers an edge in stamina, strength and performance quality. Esmé Harris compares cross-training for ballet to preparing the precise ingredients for a recipe, warning that “should you omit one ingredient, your end product will either be a total flop or most certainly inferior”. She says, “ballet dancers need intelligence, musicality, grace, performance quality, technique, flexibility, stamina, strength and a mutual respect for the many other dance genres that require equal skills,” while explaining that many of these qualities can only be acquired outside the ballet halls. Great for improving coordination and, according to Harris, “rhythmic gymnastics certainly is the answer to intelligence, flexibility, stamina and strength training,” although she recommends at least four classes should be attended weekly for the best impact. Uh, no, that’s not quite what we meant by ‘swimming’. Photo by Tommy Wong via Flickr. Swimming twice a week, all year round, will keep you fit and creates the long lean muscles dancers need. It also serves as an excellent non-weight-bearing recharger for sore muscles. 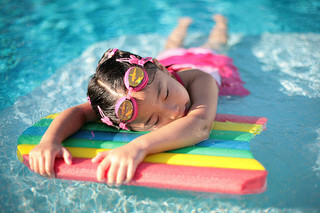 Harris recommends 80 lengths per session, but even a few laps to begin with could do wonders for your body and fitness. As for the best strokes, try backstroke to strengthen your upper back, freestyle for a general workout and a bit of breaststroke to focus on your legs, hips and turnout. Yoga is perfect for building core muscle and mental strength while improving flexibility too. Having to focus on your balance whilst barefoot also helps to awaken and strengthen the intrinsic foot muscles which are so important for strong pointe work. The Art of Motion students take yoga and pilates classes twice a week. Kirsten de Klerk, pilates instructor from Innermotion Studio in Johannesburg, demonstrates exactly why pilates is known for building fantastic core strength. While many dancers swear by pilates to improve their core strength, according to Heidi Wright, a ballet teacher and pilates/post-rehabilitation practitioner in Johannesburg, one of the best benefits of pilates for a dancer is learning to use and leverage the breath. For ballet boys, weight training is essential – a minimum of four times a week according to Harris – in order to better prepare for partnering. For ballet girls, you’d rather need to get specific advice on weight training, as you want to maintain long, lean muscles and not build bulk like a bodybuilder. Oh so Irish. Photo by Rona Proudfoot via Flickr. 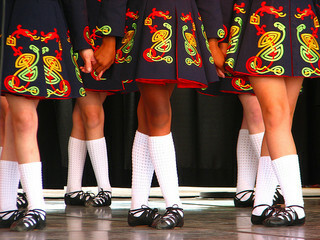 Irish dance can be used to train elevation and improve lower body strength, while contemporary and African dance helps to create expressive upper bodies. Tap and Spanish dance are particularly good for musicality; and Latin American will certainly assist with rhythm and partnering expertise too. Esmé Harris adds that “even hip hop has proven to be most challenging and demanding both stylistically and on a fitness front”. A biokineticist can identify weaknesses and risk factors that could result in dance injuries and give you tailor-made physical training as well as education on conditioning principles, which could be applied directly to improve your dance technique. While not being strictly ‘exercise’, if your budget and schedule allows, you’d be wise to make time for some additional therapies to improve your body’s recovery. And better yet, rather than only visiting a physiotherapist when you have a problem, consider a regular physio session for injury prevention instead. Sports massage, chiropractic and other healing therapies all have tremendous value too, depending on the specific needs of your body. Finding your personal recipe for ballet success might take some experimental research. Also keep in mind that, depending on your particular needs, there may be some forms of cross-training that could be great for you and not-so-great for others. So remember to always get the advice of your ballet teacher and physical therapist first before attempting any new training regimes – they’ll know your strengths and weaknesses best. But if you’re having fun and loving what you’re doing, you’re probably on the right track anyway. P.S. We’ve asked a few South African professional ballet dancers about their favourite cross-training exercises. Look out for their thoughts on the subject here on BodyMindBallet soon. [UPDATE: Read the article on insider cross-training tips here.] In the meantime, what do you think? Are there any other ballet cross-training tips you can add (in the comments below)? As a ballet teacher I would appreciate reading your articles. Thanks Brenda, it’s great to have your feedback. 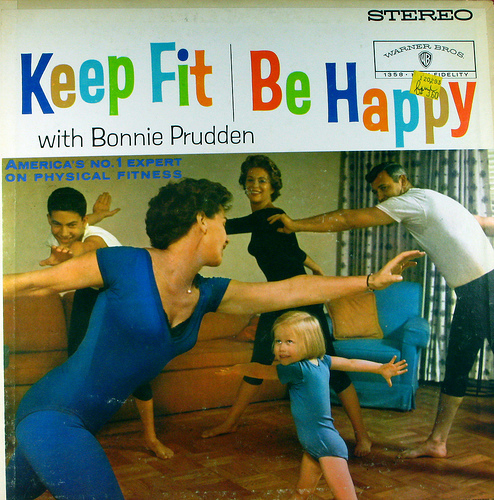 There are certainly more articles on ballet fitness and cross-training still to come on BodyMindBallet too. My daughter has been dancing ballet since grade 1, now that she started grade 7 her ballet teacher has just told me that my daughter does not have the correct body for ballet and that she struggles to work with her body type. She has also informed me that she will not be able to enter my daughter for any further Cachetti exams. Is this acceptable. Please advise. Hi Jo, I’m so sad to hear about your discouraging experience. While I’m not a ballet teacher and therefore not the best qualified to answer your question, I can tell you from my own experiences that body shape, size, height and even age has nothing to do with Cecchetti exam criteria. If your daughter loves to dance, that is the only criteria that should matter. Roughly speaking though, I’ve found that ballet teachers vary on what I call the joy-perfection scale: there are teachers who focus mostly on the joy of dance, opening their studios to anyone with a passion for ballet; and there are teachers who focus almost exclusively on technical perfection, narrowing their studio down to only the most promising candidates working towards a professional on-stage career. And then there are teachers somewhere in the middle. There’s no right or wrong here, just what’s right for you and your daughter. Short answer: It sounds like it’s time to find a new teacher who values the joy of dance a little more than your current teacher does. Best of luck and let us know how it goes.